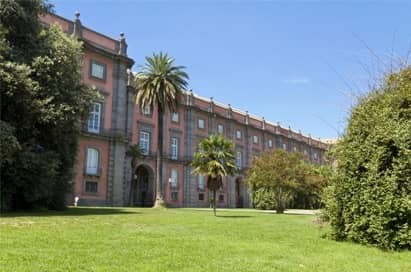 On our school trips to the Bay of Naples you will experience the spectacular rocky coastline and some of the best scenery in Italy and the bay is home to several world renowned archaeological wonders. The area was settled first by the Greeks and then by the Romans. Mount Vesuvius dominates the Bay and is one of the few active volcanoes in Europe, resulting in school trips to the Bay of Naples being a very special experience. 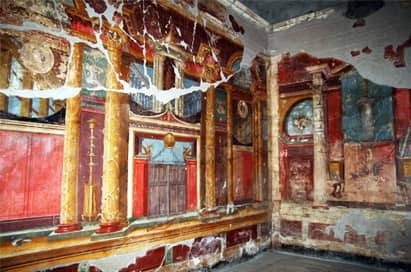 Its eruption covered the cities of Pompeii and Herculaneum in ash, preserving life as it was almost 2000 years ago. School trips to the Bay of Naples provide students with an exceptional destination for an educational tour for students wanting a variety of excursions that educate and entertain. 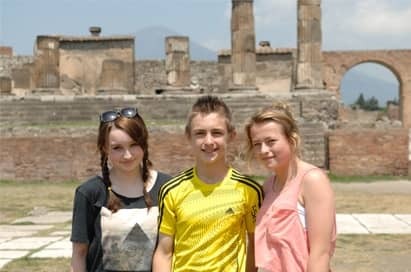 Home to many artefacts taken from Pompeii and Herculaneum. It is also being regenerated with modern art sculptures in the old squares, with metro stations being transformed into modern masterpieces.